Orkhan Jemal from the TV channel “Dozhd” has spent 20 days in Libya. He stayed in Benghazi and has been to the combat zone. In his interview with RT, he presented his view on why in this case resolutions create chaos, rather than liberation. 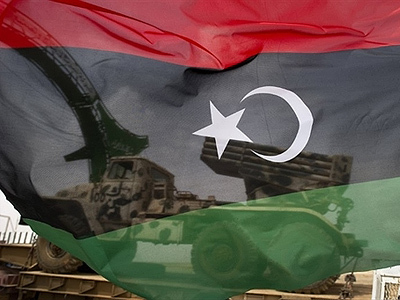 RT:Who is taking the upper hand in Libya? Orkhan Jemal: Gaddafi has more chances, as without western support he would have resolved the situation long ago. The airstrikes and the small units of British rangers who are here to scout out the targets – all of that could only postpone the inevitable defeat of the rebels. The rebels can’t launch a counter-offensive. 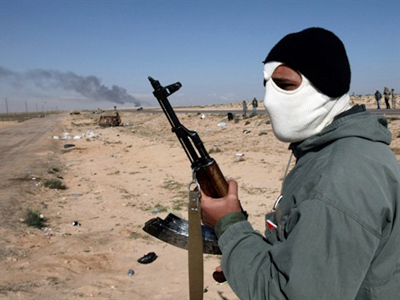 Their only success was the capture of the city of Ajdabiya and even that was done through negotiation. The pro-Gaddafi forces that were entrenched in that strategically important city would not have endured a long siege, and the rebels did not have enough men for an assault so the two sides decided to call off the battle. The frontline runs by the city of Brega and so far Gaddafi’s forces have been able to easily stop any attempts on the rebels’ part to move the frontline further to the west. 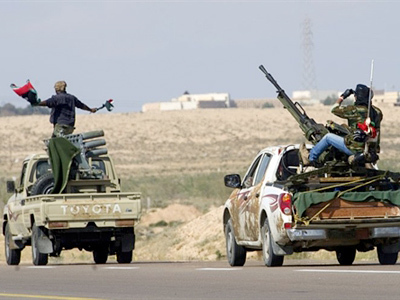 Gadaffi’s forces currently control the western and central parts of Libya. 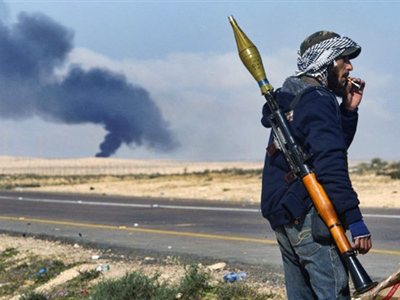 If the coalition forces do not launch a ground operation soon, Gaddafi will be capable of winning the war, as the coalition’s air support is not giving the rebels any significant advantage. At the same time, the rebels understand that if the coalition does launch a ground operation, they will essentially become collaborationists with occupation forces. Gaddafi’s regime can of course collapse on its own. It does have certain internal tensions. There are different groups by Gaddafi’s side. They all understand however that a war would lead to sanctions. Not all of Gaddafi’s supporters are ready to suffer sanctions or persona non-grata status in the west. On the other hand, Gaddafi, is securing their loyalty by taking their families hostage. 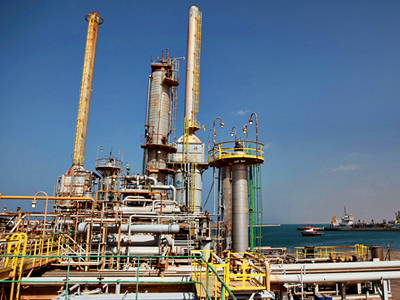 The families of his closest associates are held at the Bab Azaziya military base near Tripoli. As a result, people who seem loyal to Gaddafi are not trying to use any chance they get to escape his grasp. RT: How bad is the damage caused by coalition bombing? OJ: I haven’t been to Tripoli. Where I have been, airstrikes never targeted cities, not even those where pro-Gaddafi forces were present. Columns of military vehicles were bombed. The stories about Gaddafi wiping cities from the face of the Earth are greatly exaggerated too. There has been some destruction but not on the scale of Tskhinval or Grozny. The civilian casualties were not caused by the bombings but rather the actions of mercenaries. They fired machine guns at protesters when they were dispersing rallies in February. RT: Who are these mercenaries that Gaddafi hired? OJ: Gaddafi lost his trust for the regular army after Libya’s war with Chad in 1986, when several generals escaped Libya and requested political asylum with the US. Gaddafi then started forming special regiments outside of the regular army structure. They are called the Katib, meaning “units”. There regiments were only partly comprised of Libyans. They are controlled by Gaddafi’s relatives and each of them is named after the family member that controls it. The Khatiba Hamis (named after Gaddafi’s son) was the regiment that was advancing towards Bengazi. That was the advance that the NATO bombing stopped. Mercenaries to staff the Katib were hired in Chad where Gaddafi had good connections with a part of the armed opposition. He also hired pilots from Ukraine and Serbia. Gaddafi began hiring these mercenaries a long time ago. The local populace has a very negative attitude towards the Katib. Captured regular army troops were operated on by doctors and then placed in hospitals together with wounded rebel soldiers. This has not led to any conflicts. However, if a captured mercenary is placed in a hospital with rebel soldiers, the mercenary is usually killed. As far as I understand, a lot of sketchy characters have sided with the rebel movement. The doctors have complained about bandits who forced them out of their own homes. Some time later, the same bandits rallied around the rebel flag. Like any social movement, this one has raised a lot of mud from the bottom of society. RT:What do you know about the rebel movement? OJ: It’s a complex formation. A part of it is what is generally called “the people”. They are unhappy, but not because they are starving. Their demands are of a political character. Many of them do indeed want freedom. Gaddafi’s regime is quite Stalinesque. 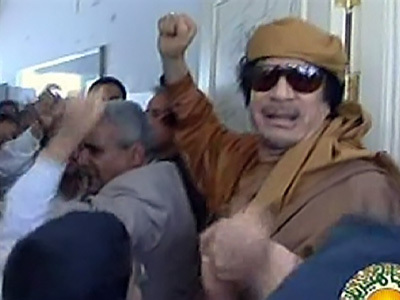 Gaddafi conducted arrests without trial. People were imprisoned for years without ever having gone to court. 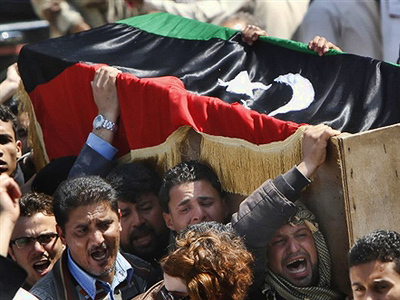 Gaddafi relies on the Lezhan Sawriye, or revolution committees. They are comprised of Gaddafi’s civilian supporters who have the authority to investigate and punish. All political opponents of the regime are arrested. The largest group of arrested dissidents is comprised of people who would be considered Islamists, meaning those who follow Islam in their political beliefs. Gaddafi’s regime, however, is no more tolerant towards pro-western politicians and public activists. People are unhappy over Gaddafi’s negligent social policy. Libya did indeed have some free education, but not in all cities. There are many settlements that are dozens of kilometers away from the nearest school. There is no municipal transportation. The public sentiment is akin to that in the late USSR: the people can see that life is better in other countries and refuse to become political hostages of the Jamahiriya. Taking into account that many citizens still harbor a grudge against the regime for executed relatives, it’s easy to see why the people are unhappy. There are some Islamists among the rebels. They are generally the most heavily repressed social group. The repression against them was not caused by Islamic anti-Gaddafi protests: arresting Muslims was Gaddafi’s way of improving relations with the west. After 2004, Gaddafi joined the US war on terror and started surrendering those Libyans who were involved in the jihad in Afghanistan and Iraq. 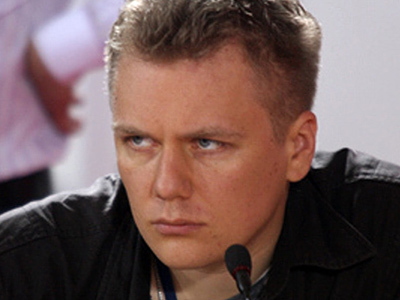 In addition, there are pro-western human rights groups, very similar to the USSR dissidents in the 1970’s and 1980’s. They are joined by a number of people who have worked in the west or collaborated with western political structures. Some have lectured at western universities. These people are no regular rebels: they are part of the national transition council, the rebel government. No Islamic veteran organizations are represented in the government. There are two members in this council who are positioned as Islamists. The names of only 10 government members out of 30 have been made public as the council includes representatives of a Gaddafi-controlled region. These two Islamists are not veterans of any Islamic wars, however they are just people with impressive spiritual authority. Then there are three people who used to work with the Gaddafi government – a former justice minister, a foreign minister and a member of the diplomatic corps. These people have political contacts abroad. 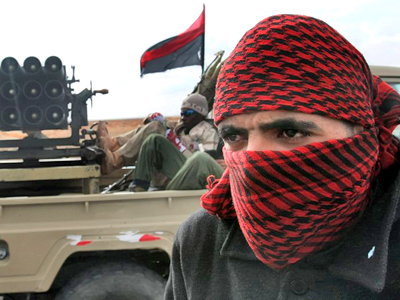 The rebels are joined by various protest movements based in other countries such as the People’s Front of Libya, which has its headquarters in the UK. RT:There is video footage on the internet of rebels brutally killing some people. Who were those people? OJ: That was the lynching of mercenaries and revolutionary committee members who drove around Benghazi on March 21 and 22, firing at civilians in an attempt to incite a counter-revolutionary coup. Thirteen of them have been killed, about forty were arrested. RT:What is the coalition trying to achieve by bombing Libya? OJ: The west is not homogeneous. The US has its own goals, so does Britain, so does France. There was a party in the US that was advocating intervention, led by Hillary Clinton. The Pentagon was against it but Clinton successfully lobbied the political decision to intervene. It’s hard to understand what motivates Sarkozy. European politicians decided to seize what seemed to them a good moment to get rid of Gaddafi whom they saw as a second Saddam Hussein. Commercial affairs were also a factor. The reserved position of a number of countries were predetermined by the fact that Gaddafi’s regime gave them good business opportunities. Italy was wavering until its NATO partners convinced it to join the military operation. At first, Italy only wanted to provide them with military bases. RT:Do you think the sequence of Arab revolutions is spontaneous? OJ: Yes and no. There are grounds for protests. Totalitarian and authoritarian regimes are outdated. People are tired of moderate Arab National Socialism. But just to be tired of a regime is not sufficient. Other countries interfered more and more often, withdrawing their decade-long support for local regimes. They also supported the rebels in any way they could. 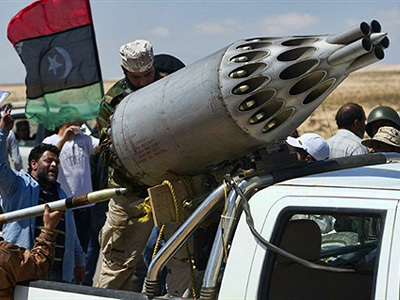 In Libya they bombed pro-Gaddafi tank units and kept his bombers on the ground. At the same time, there are many Gaddafi supporters in the west. They don’t express their support directly with pro-Gaddafi rhetoric but by stressing the Al-Qaeda issue and alleging the rebels have Al-Qaeda links. That is the reason Israel is supporting Gaddafi. But Al-Qaeda is not present in Libya. Islamists and veteran mujahidin are much closer to Egypt’s Muslim Brotherhood than to the radical salafis that usually constitute Al-Qaeda forces.